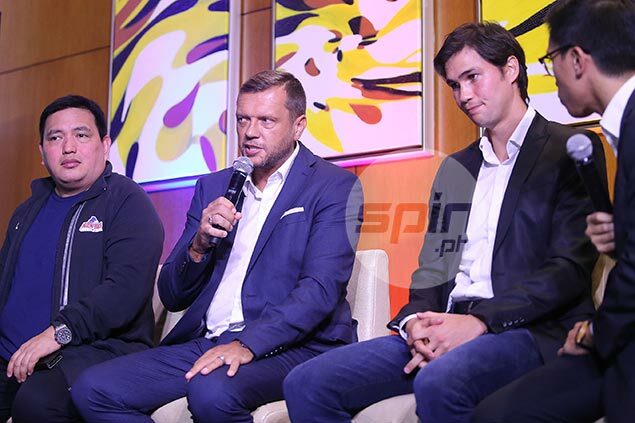 THE Philippine Azkals have named an integral part of the squad in senior football adviser Scott Cooper. Cooper will be working hand in hand with new coach Terry Butcher, who replaced Thomas Dooley after the contract of the US national expired last March. Cooper's familiarity within the Asean region will be a big boost to the club having spent six years in Thailand. He had the biggest success in 2013 when he managed Buriram United and led the club to the quarterfinals of the AFC Champions League, playing along Azkals striker Javier Patino. He also led Ubon United to the Thai top flight after starting with the club in the third tier league. "I was looking for something different. I want to apply my knowledge to Asean and Asian football. I was intrigued by the role. It was something different and a challenge for me," said Cooper. Cooper and Terry will have their work cut out for them as they'll have five months to prepare for the upcoming Suzuki Cup in November before making their debut in the Asian Cup on January 2019.